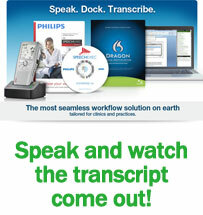 Improve productivity - Increase billable time! 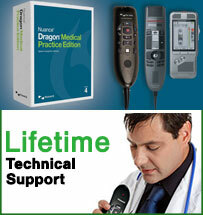 Free one-day shipping and Lifetime tech support. *Includes free headset with purchase. 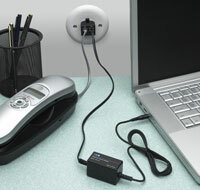 organization anywhere you want to be. 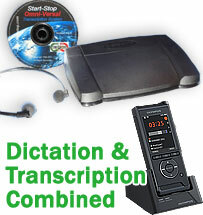 Select from these Outstanding Dictation / Transcription Equipment Bundles brought to you by our Start-Stop® sales engineers. 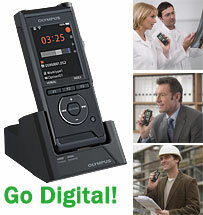 The best digital dictation recorders suited to every professional: for anyone who needs to produce meticulous notes, such as doctors, lawyers, researchers, or insurance adjusters. 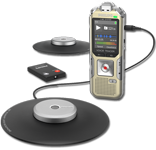 Use our quality portable conference recorders and wired or wireless recording systems any time to capture and transcribe every utterance of speech from multiple participants. 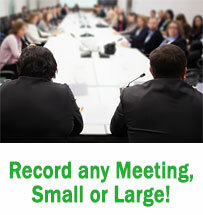 From boardrooms, city council meetings, courtrooms, hearings, seminars of any kind, expert panels to focus groups. 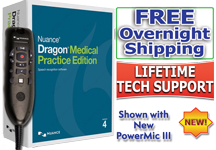 Dragon Medical Practice Edition 4 sets the standard in voice recognition software with top-notch accuracy, EMR support, vocabularies for over 90 specialties, regional accent support, and supports HIPAA regulations. 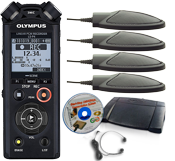 Start-Stop is your one stop source for all professional audio transcription and video transcription products and accessories. 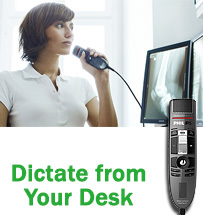 Realize the power of dictation at your desktop with these top microphones. 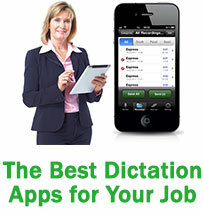 Phone-In dictation still proves to be the most economical, timely, and easy to manage dictation solution for many organizations. 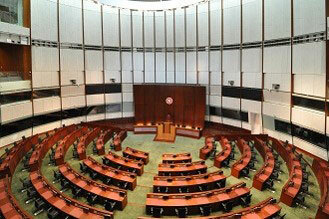 The digital revolution makes it easier and cheaper than ever. 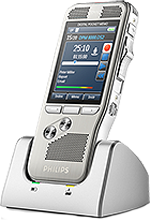 Cell phones have become a new generation of handheld dictation recorders. 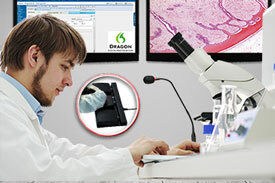 Let the computer do the typing for you! 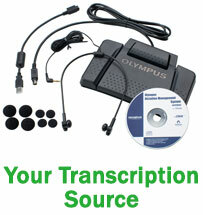 By speaking into a hand-held digital recorder that gives you full mobility and freedom, a smart phone, or directly into your computer, you can have typewritten transcripts produced automatically! 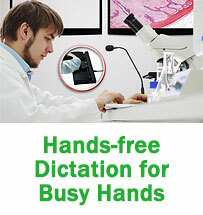 The hands-free dictation products were originally designed for doctors, researchers, and pathologists in mind. 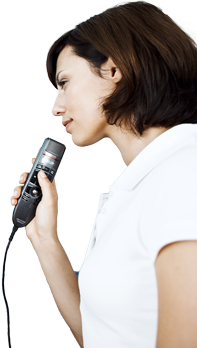 However, customers in many different additional fields have found them essential to their work. 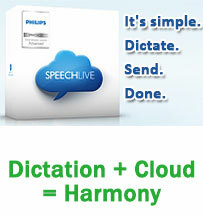 The beauty of the data cloud is that it does not matter where you are in the world. 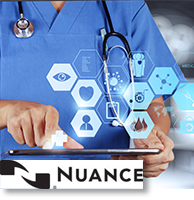 You can start dictating today in one place and pick it up or send if off for completion by your team in a completely different place. 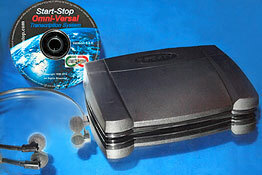 Secure and powerful. 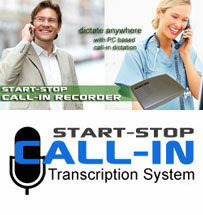 Start-Stop® has you all your dictation, transcription, and recording accessory covered. 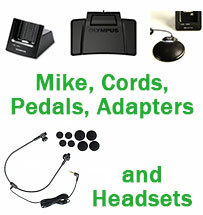 From adapters to pedals to extra microphones. 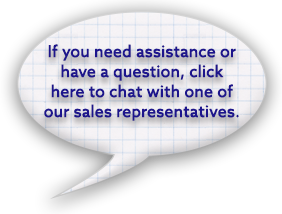 If you can't find what your need just chat with us and we can direct you to it.